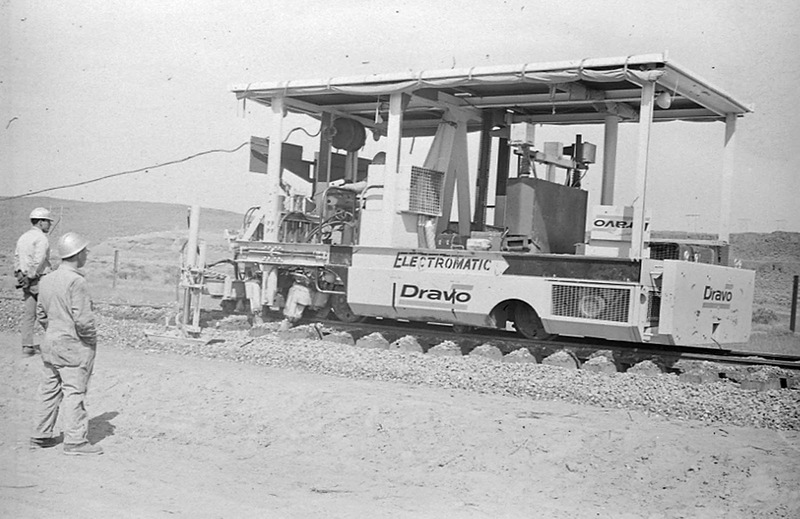 The firm of Dravo-Degerstrom of Spokane was the contractor in charge of building the 6 mile branch to Royal City. The work was carried out under the supervision of the railroad’s division engineer, T. M. Pajari. Here is a mechanical tamper, used to help settle the ballast between the ties. This is located along the gentle climb out of the Crab Creek area, but before the heavy grades and horseshoe curve across Red Rock Coulee. 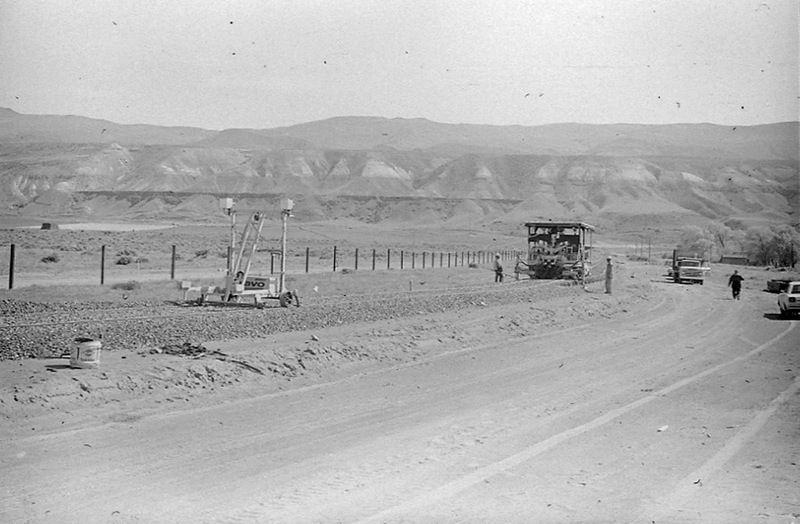 Most of the grading for the track was completed in 1966 and the whole project was to cost around $1 million.